Vermilion-colored walls paired with teal bedding add a bright punch in a windowless corner of this bunk room, perfect for sleepovers. Built-in drawers below the lower bunks create spots to tuck away clothes. 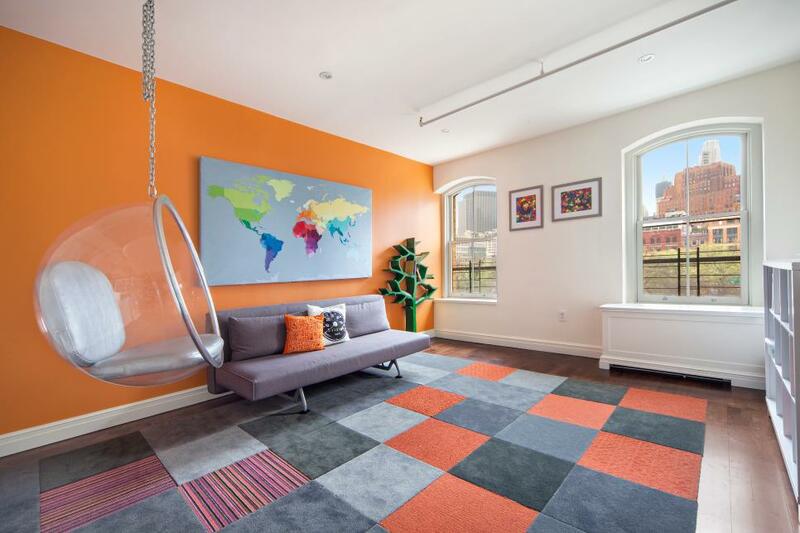 A bold orange accent wall fills this playroom with vibrant energy and ties the space to the similarly colored buildings neatly framed by the windows. Bright orange walls and chairs match the boldness of the black and white chevron rug in this sunny foyer area in the Atlanta Decorators Show House. 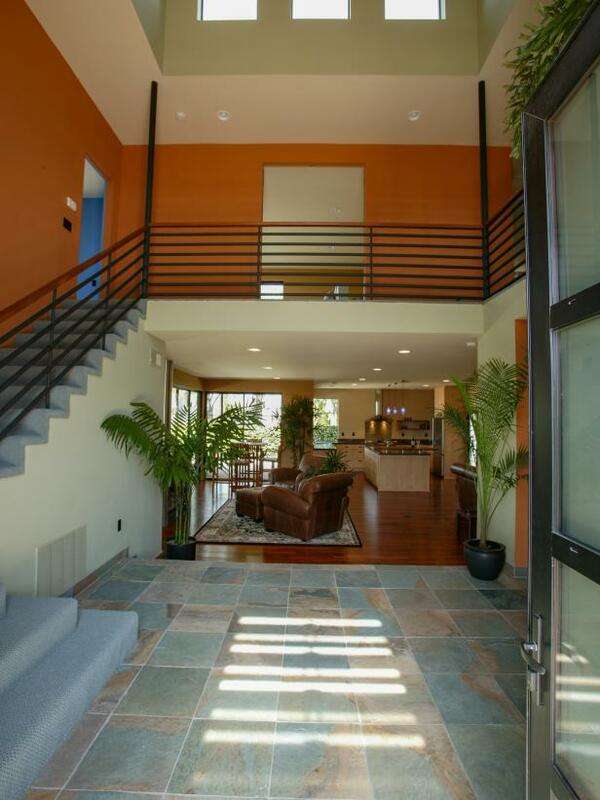 This modern tower entryway features high windows for abundant light, slate floor tiles, black steel stairway railing, and an orange accent wall. 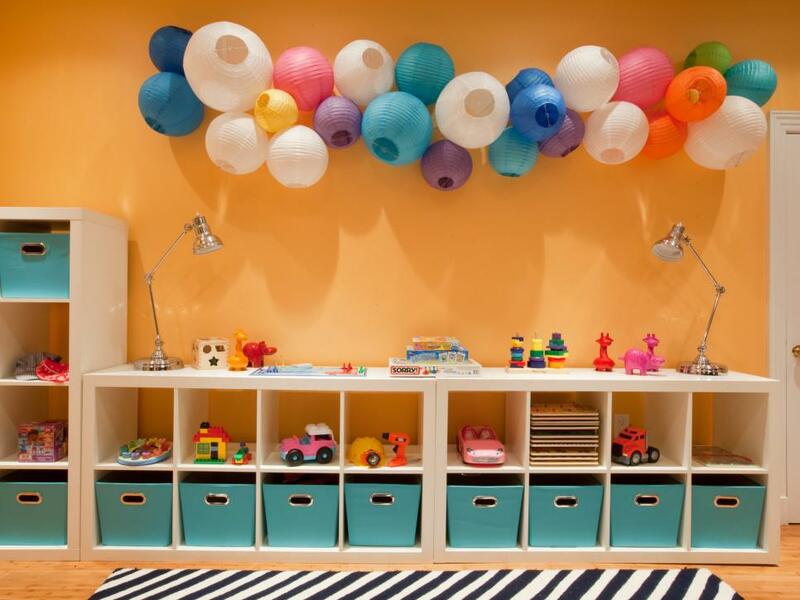 Colorful paper lanterns mimic gumballs while white bookcase cubbies are perfect for storing kids' toys. 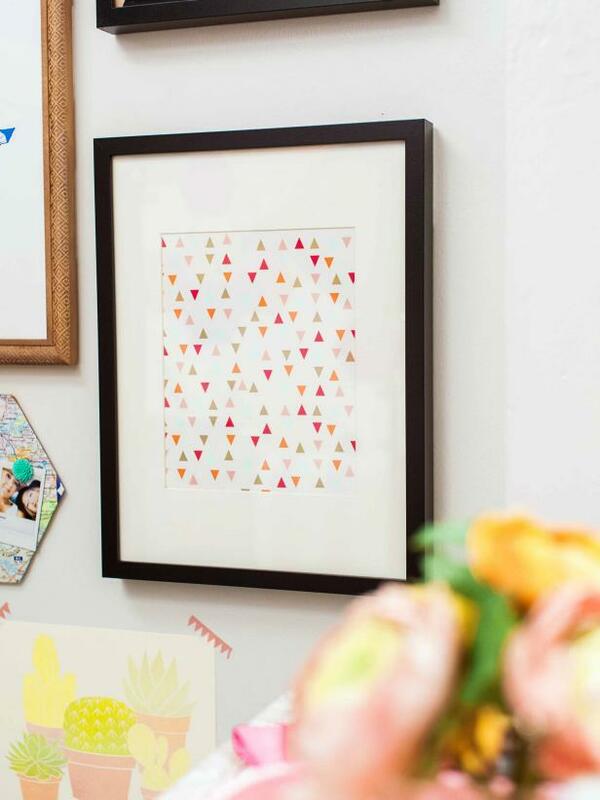 Look for wall art anywhere and everywhere, starting with your school supplies. We found this geometric notebook divider in the office supply section for less than $1. It looks super sweet in a frame, right? The black frame pops against the white mat and background. 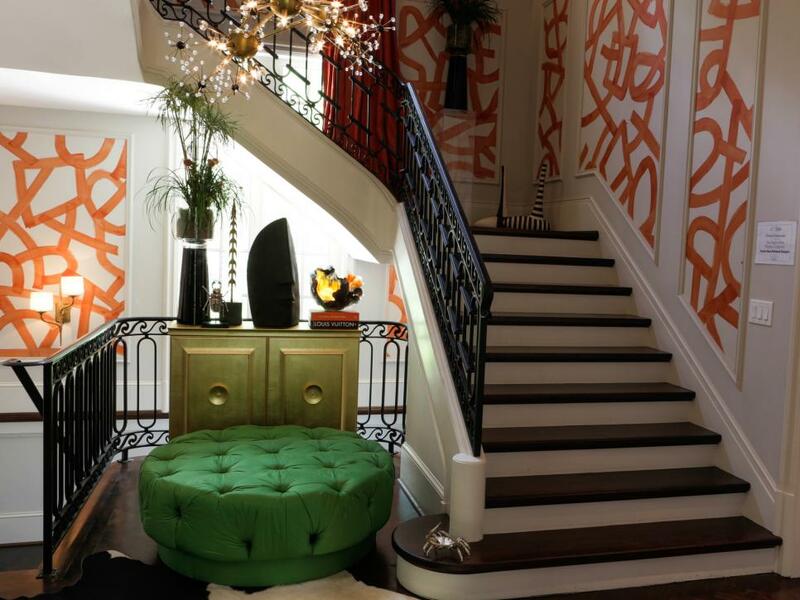 The grand staircase of the Atlanta Decorators Show House offers a collection of delights, from the eclectic orange patterned paneling to the cowhide rug, green tufted ottoman and the stunning chandelier. 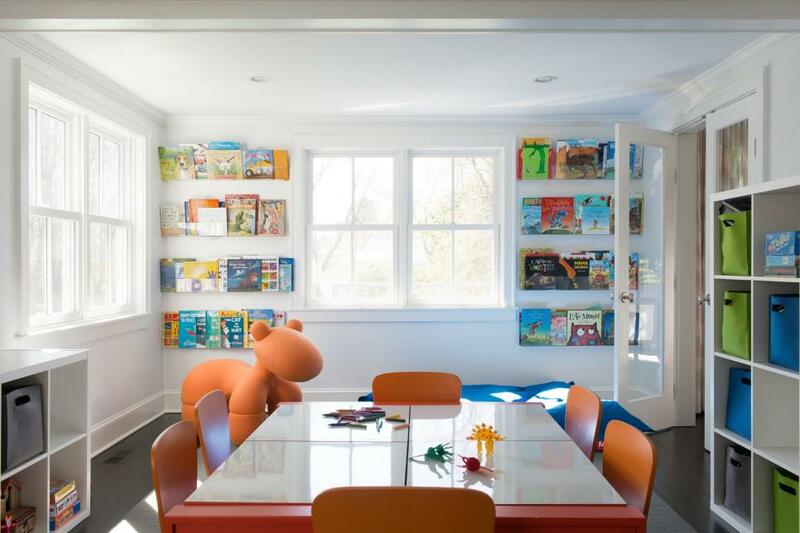 On the other end of this fun playroom, designers created a reading area for these busy boys, complete with a great collection of children's books on a modern book rack, blue bean bags and something to climb on. More storage lines the right wall in the space, and large, glass front doors allow mom and dad to be able to check on their kids at all times. 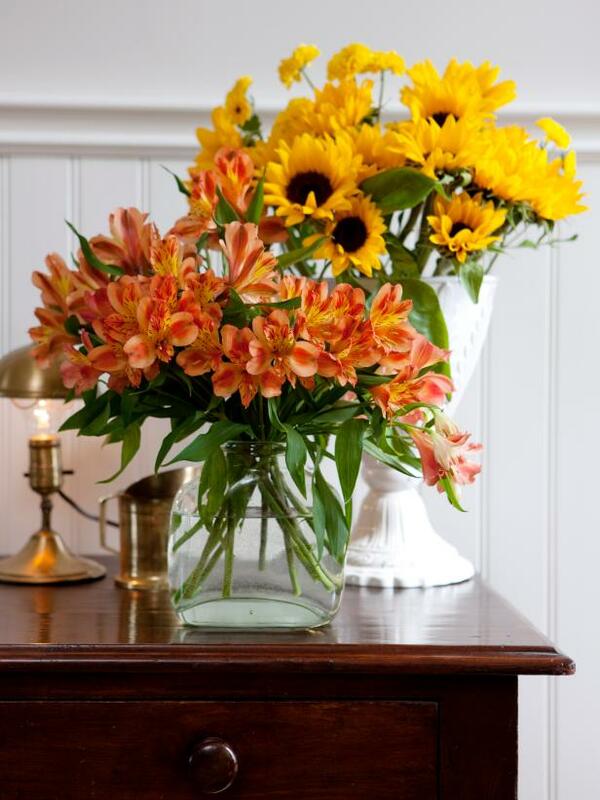 Whether decorating with flowers, black-and-white photos or candlesticks, layer the elements to create depth. Add small lamps, mirrors or metallic items to the vignette for a glamorous touch. This bright kids' playroom features two black and white chevron rugs, an arts and crafts table and plenty of storage for books and toys. 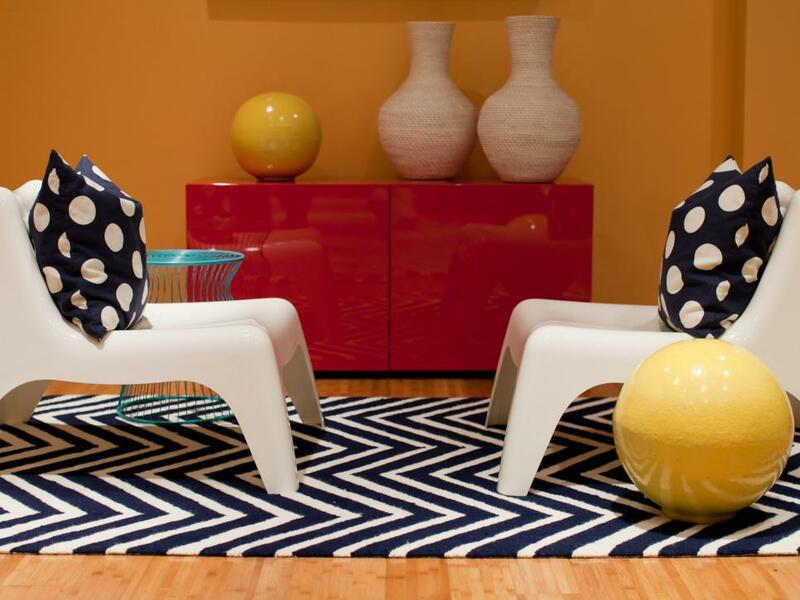 Black-and-white, polka dot pillows and a bold, striped rug are hip and playful touches in this modern kid's playroom that's filled with bright colors. 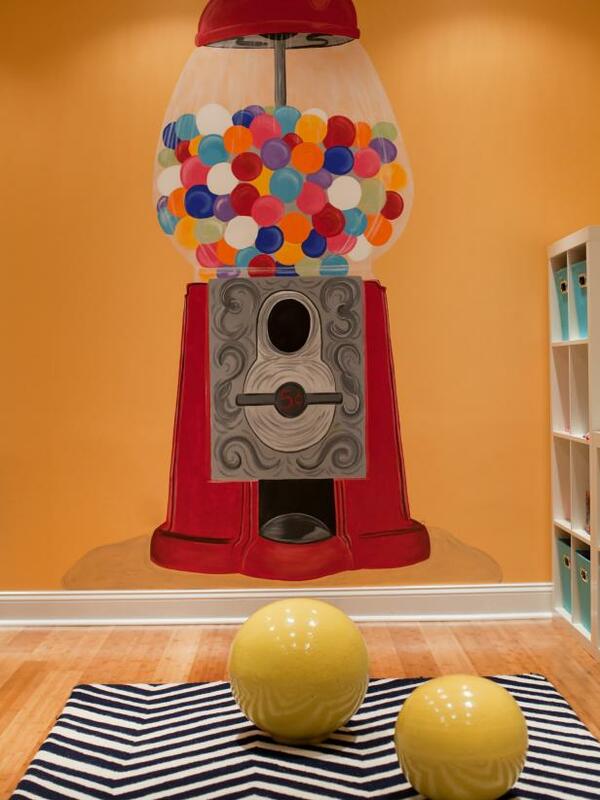 A hand-painted gumball machine on the playroom wall is a fun, youthful touch to this vibrant kidspace. 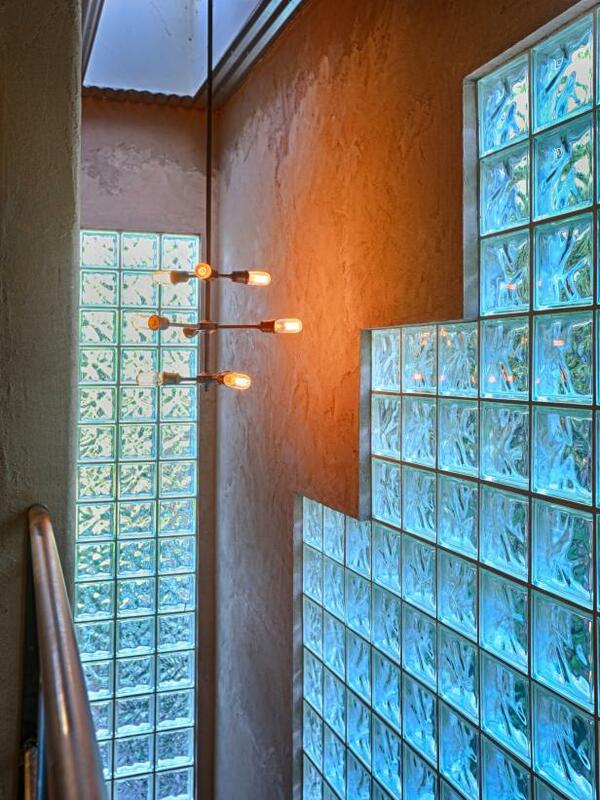 From expansive glass block windows to a custom fixture the design team dubbed "Daddy Long Legs," this modern-eclectic stairway is filled with light and interest. A corrugated metal ceiling provides a cool contrast to the warm, textured walls. The team also custom designed the railing using pipe and mesh. 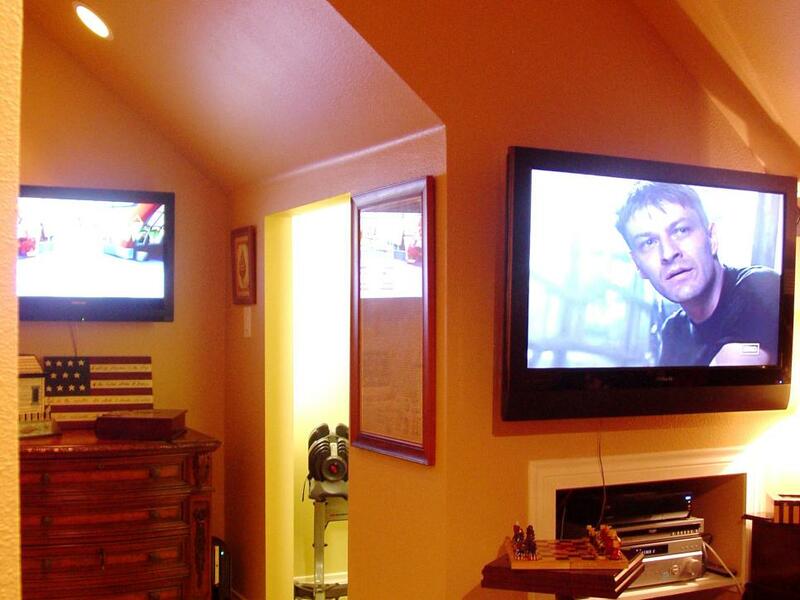 A private entry hall offers its own reach-in storage and access to the basement bathroom at the 2014 HGTV Smart Home. 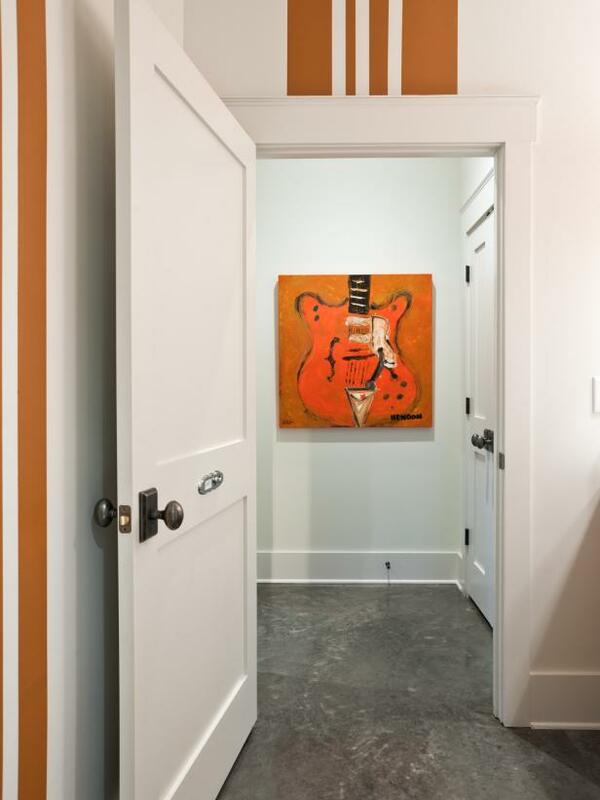 The hallway space features finished concrete floors, burnt orange racing stripes and original artwork. 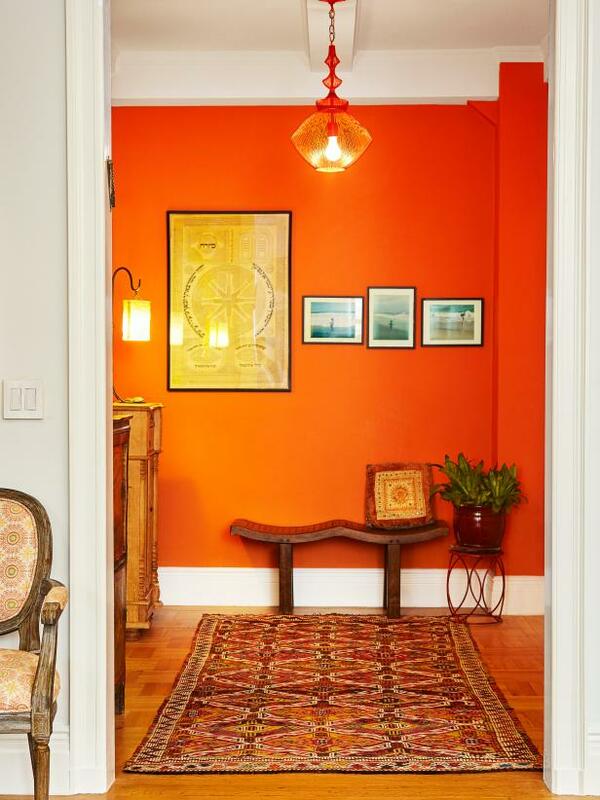 In the entry of this New York City apartment, bold orange paint is a vibrant welcome. Wood accents and a traditional red rug are nice complements to the color. 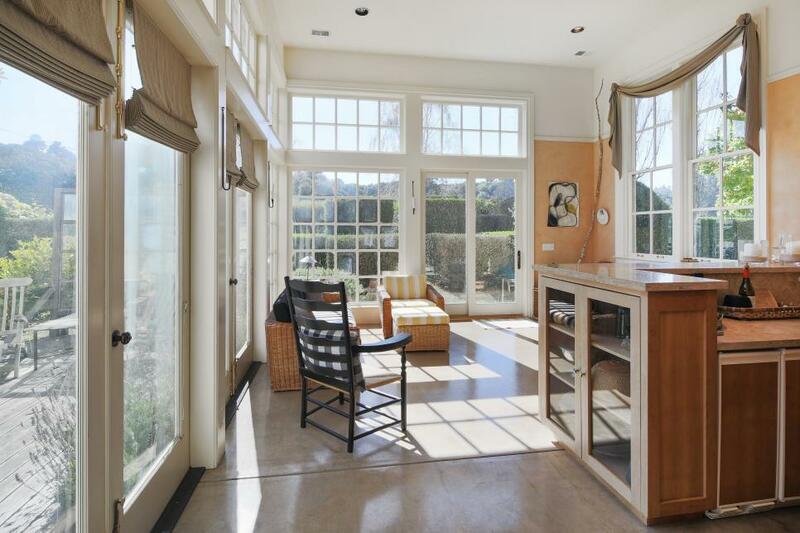 Multiple sets of French doors offer the chance to open the sunroom up to the deck and back yard in this Bolinas, Calif., farm house. Attic spaces can give you an opportunity to uniquely arrange rooms and to try out paint colors that may not work in other parts of the house. 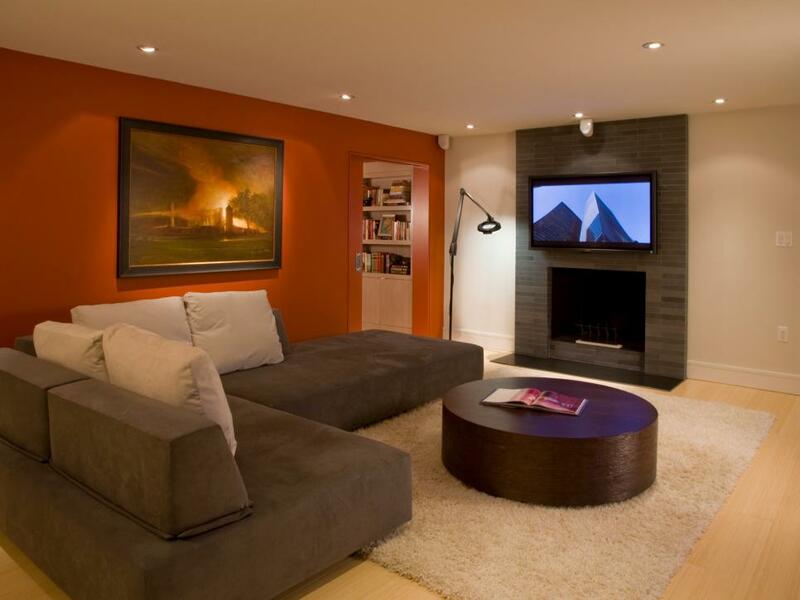 The orange walls and ceiling in this attic cause the space to appear larger than it really is.